With the writing of my novella Love’s Harvest I have done a tremendous amount of research into Germany, the ethnic Germans of the Volga and Sudentenland regions, and ex-pat/exiled Germans. The research which has introduced me to several German-language authors, and has added to my To Be Read stack of books. 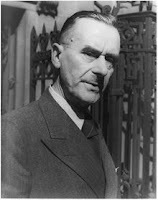 Some of the more well-known German and German speaking writers are Thomas Mann, Hermann Hesse, and Hans Werner Richter. Heinrich Theodor Boll was an important post-WWII, German writer who most Americans are probably unfamiliar with. Winner of the 1972 Nobel Prize for Literature, Boll came from a pacifist, anti-Nazi family. Conscripted into the Wehrmacht, the author was captured by the Americans in 1945 and sent to a POW camp. A more recently discovered German writer is Andrea Maria Schenkel. 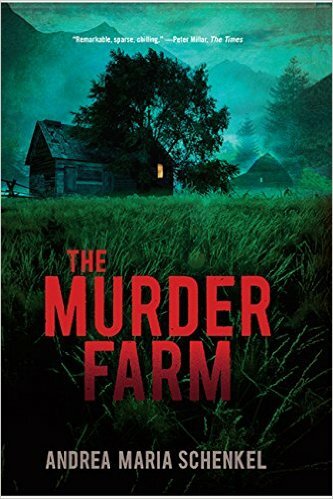 Her debut novel, The Murder Farm was published in 2006 in Germany. Picked up by Hachette, the English version was released in 2014. The book is not a traditional mystery in any sense of the word. A fictionalization of an unsolved murder case that happened in Bavaria in 1922, the book has no detective or formal investigation. Instead, the author weaves together eye-witness accounts, third-person narratives, and incomplete case files. It is up to the reader to determine who killed the victims. Ms. Schenkel has since published several more novels, some of which have been translated into English. Americans can be an isolated people. We have everything we need and have no need to look beyond our borders. It has been an interesting journey for me to reach out into the literary field of another country. Have you read any translated fiction or non-fiction books? If not, you might want to consider it.